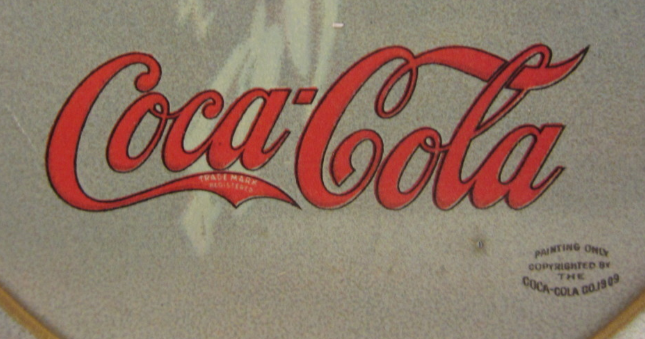 Is My Antique Coca-Cola Tray Real? 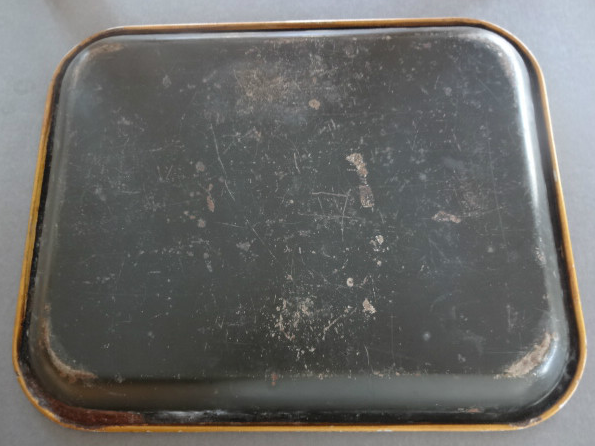 This is the most common question we get asked here at Antique Coca-Cola Trays because there are thousands and thousands of reproduction trays and everyone wants to find the “Real Thing”. There are several types of reproduction trays to be aware of, and several characteristics of authentic trays to look for. These are trays that were produced with the blessing of the Coca-Cola company and are marked on the back with a Coca-Cola label, date, and description / information about the tray. These are very easy to establish as reproductions and they are not nearly as valuable as the original trays. The original trays are exceptionally rare and expensive though so there are many people who will still purchase these reproductions to fill out a collection, or as a “placeholder”. These are trays that were produced by someone looking to make a quick dollar, the quality of these reproductions varies widely with some able to fool even seasoned collectors. Fake trays like this do exist, but the most important thing to be aware of is people selling things for high prices that don’t offer a return privilege. Reputable dealers will typically give a guarantee that what they are selling is authentic and that way if you later suspect it’s a fake, you have recourse. If you’re buying at an auction or online be especially careful and check out the seller because once you’ve bought it, you’re usually stuck. 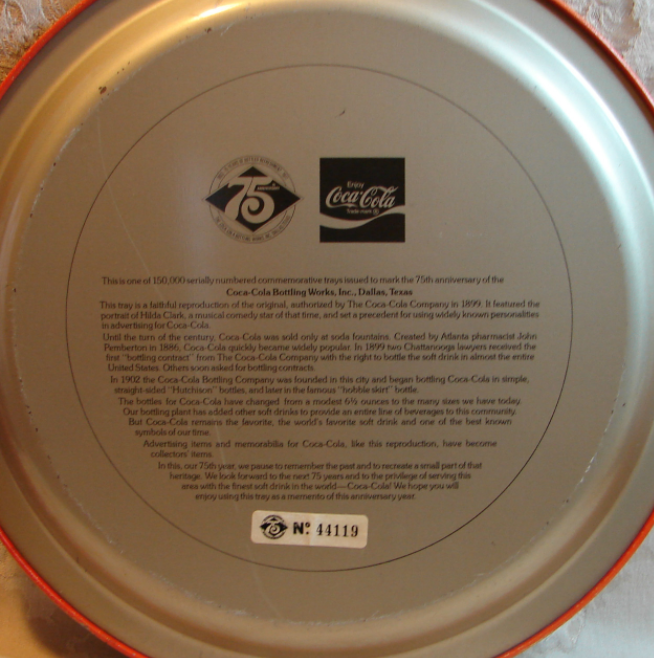 Fantasy trays are trays with designs that were never produced by the Coca-Cola Company, whereas unauthorized repros are just trying to fake something that did exist. Fantasy trays are tricky because a newer collector may not be aware of all the designs that are known to exist and it’s easier to dupe them with a fantasy tray that had a calendar image or advertising image that was never used on a tray. Some collectors don’t mind fantasy trays and as long as you’re not paying for them like they were original they aren’t a huge problem. The best way to tell a fantasy tray from a real tray is to learn about what trays were made and go to shows or auctions where you can see and feel authentic trays. 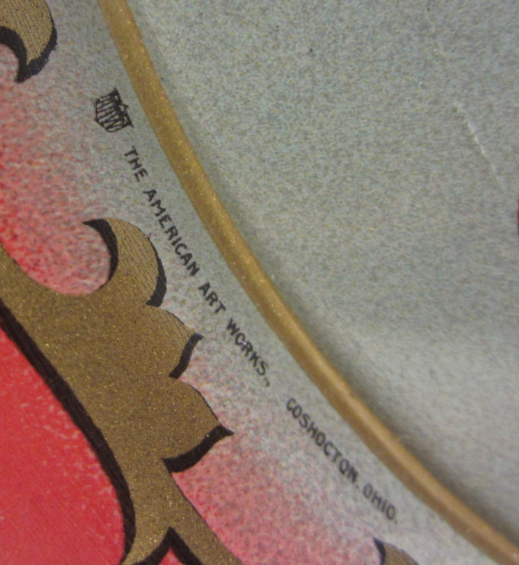 As Coca-Cola produced trays over a long period of time, not every feature applies to every tray, if you’re going to spend big dollars for a tray, you should be familiar with the hobby enough to know how to tell what applies where. Just reading this won’t tell you everything so if you buy a reproduction based on this information, just know you’ve been warned. 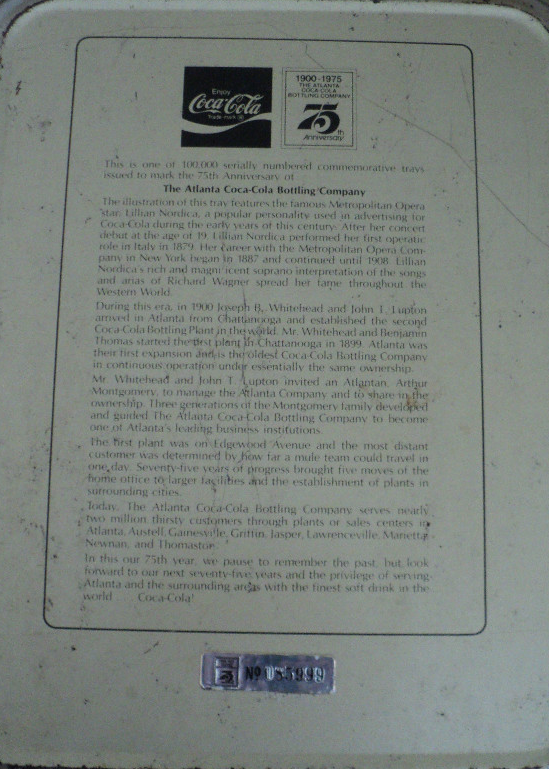 Authentic Coca-Cola trays will have black backs, while many reproductions have yellow, white, or other colored backs. 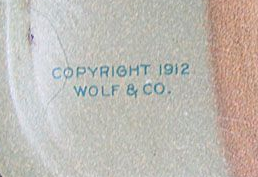 Other things to look for on the back include barcodes (which obviously means it’s a reproduction), and any evidence that the back might have been painted black. Some unscrupulous people have been known to take Authorized reproduction trays and paint the back to hide the evidence that it’s a repro, don’t be fooled. In original trays, the tail of the capital “C” in Coca will have a trademark message that reads “Trade Mark Registered” or “Trade Mark reg. us. pat.off.” or other similar things. Again, many reproductions also include this feature, but often it is crudely done. This is why it’s important to go and see original trays so that you can tell the difference between a crude copy and the real deal. 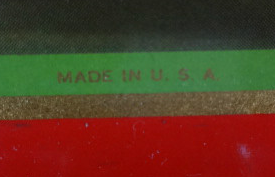 Original trays usually have information such as the date, the manufacturer, place where it was produced, and “Made in USA”. Not every tray has every piece of information so again, you need to get out there and learn what these trays really look like up-close. People trying to fake trays have the toughest time trying to replicate the colors of the original trays so it’s important to look closely at the colors and if possible to compare it to a known example. Complicating this though is the fact that many older trays have faded, stained, or worn down so that the original color is not really there anymore. Again, you can see that you need to be very familiar with these trays so that you can tell what you’re buying is real or not. Probably as important as any of these things is knowing where you’re buying. If you’re buying a tray from a reputable dealer, auctioneer, a well known collector with a good reputation, or someone who can document the tray’s ownership then you can be very confident that you’re buying an authentic tray. If you’re buying on ebay or at a small antique mall with a no refund policy then you’re taking a bigger risk. Buying from respected sellers will never get you a good deal because they know what items are worth, but it should give you peace of mind that you’re paying a fair price for what you’re getting. If you’re always trying to find a good deal, then be prepared to buy a couple lemons along the way. There’s no right answer and everyone will pursue some combination of ponying up and deal chasing.